Moral: Some ignorant people know nothing aside from their own world. Qigong: key 2 the future? How will qigong help us to solve the energy problem? By understanding the implosion principle and the yin aspect of nature. 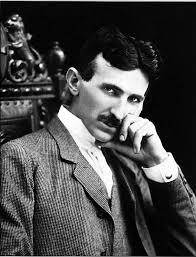 Mario Hostios describes some interesting aspects of Nicola Tesla’s and Victor Schauberger’s era, nearly 100 years ago, when humanity was on its right path towards a clean energy, clean water and clean food solution. Somehow materialism took over and now we face a society which is obsessed on the yang aspect and does not balance both sides of the coin, with disastrous consequences. Sifu Mario here, I trust you are well. Today I am going to rant (not my choice of words, that is feedback…so be it) about Qigong and it’s applicability to others areas of life. This might offend, but in the interest of offering food for thought, that’s a risk I’m willing to take. Just remember; if you don’t like everything I have to say…you are in excellent company. In the biomedical physics Lab of the Seoul National University, research is done about the so called Bong Han duct. This stread like structure is following the meridians of acupuncture. It is very difficult to find those small transparent structures. Good Morning Future Qigong Masters! From the moment you direct your will in the mental/physical posture of zhan zhuang a “stopwatch” of sorts begins. 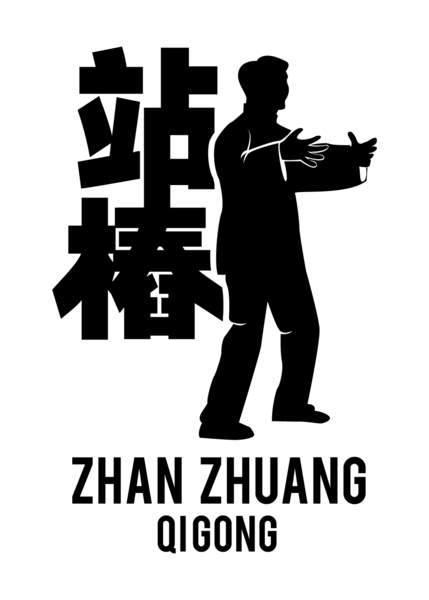 As moments accumulate in zhan zhuang, they compound upon each other and build your competence and capacity. Often people will refer to their sifu (father/teacher) as having trained for…e.g. 40 years! In reality that is not precise. More likely the sifu has spent thousands of hours practicing…he still has to eat, sleep, work etc, right? In digital radionics the analysis process uses the psychokinetic effect of the operators mind on electronics instead of a pendulum or dowsing tool. Are there any alternatives to Raspberry Pi or Arduino for generating true random numbers? It seems that crowd-sourcing campaigns have made the production of low-cost trng’s possible. Life force is awareness. Zhan Zhuang (standing meditation) enhance awareness or the flow of life force in our energetic system. This unleashed awareness expands until it reaches parts of our subconsciousness. Awareness transforms subconsciousness territory into consciousness territory. When we dream we are unconscious that we dream. Except if our awareness has reached the deeper layers of our subconsciousness, then we become lucid dreamers, which means we become aware that we dream. And we will be able to remember our dreams, they don’t just fade away after we wake up. The appearance of typical pre-lucid dreaming signs like the ability to fly gets more frequently during Zhan Zhuang training. Normally when a person catch a cold or get influenza, they need a few days to maximum of 2 weeks to get better and feel again vigorous and full of energy. If this is not the case, then there is a weakness inside the system. The person feels weak over weeks after the cold or influenza and seems not be able to regain his former health. Hydrastis can help in this case, if the person also shows symptoms like “hopelessness” (or procrastination), constantly sighing which is a symptom of a weak lung and has a tendency to abuse themselves (alcohol, staying late at night). Another aspect is that they become irritable and “curse” their mother or father … well, the language of the materia medica tends to exaggerate things, thing about the aspect of “cursing” more like being very irritable with the person who stay very near to them, to get angry with them for nothing. This in reality auto-aggressiveness and discouragement. Inside their energy meridians is a lot of damp, too much fluids. Hydrastis dries the damp and has a astringent effect on the fluids. By doing this the energy can flow more freely again and the healing process continues from the point where it was stuck. The problem of people who needs Hydrastis is their lack of hope and their discouragement. They feel a constant need to breath deeply, to get more air. This is based on their suppression of emotions. And why do they suppress their emotions? Because they feel that the world is raw and too harsh and therefore they search comfort and protection inside a community. In order to stay in the community they try to be seen as successful and strong, as someone who promotes the interest of the community. Sometimes they exaggerate their suppression of emotions in order to fulfill the community “rules”. They are not really balanced and indeed the lungs are known as the energetic organs which brings things in harmony and balance. So what is their main problem, the deeper underlying root cause? A weak lung! Nothing else. After a cold or influenza their lungs are even more weak and requires fresh air, hope, in order to get rid of the dampness. So think about Hydrastis canadensis if one is constantly sighing, searching for hope, or are hopeless, and are irritated with their family or spouse or parents, especially after a cold or influenza. The Kindle Edition of Strange Phenomenons in Homeopathy is now available on Amazon. Homeopathy is strange enough. So why write a book about it? Because there are even more strange phenomena you may never heard of. They are all related to one principle: consciousness is fundamental. And why the strange word in the title: “phenomenons”??? It is still grammatically correct. The word phenomenons is the lesser known word for the plural form of phenomenon. Normally you would read “phenomena“, but I love the way Hahnemann used certain words. For example he wrote “hülfreich” (with a Umlaut) instead of “hilfreich” (German for “helpful“). So I decided in the best lanthanides / Asteraleaes fashion to use the lesser known word “phenomenons” (it sounds so much better too). Some of the very strange phenomena are the non-local effects high potency remedies have. When I began to study homeopathy I was initially not aware that also other people in my surroundings began to have similar symptoms as me when I experimented with a remedy. I attributed what I observed to a change in my own consciousness. Later I could not deny that whenever I took a high potency remedy I also could observe the appearance of “themes” and symptoms in people in my vicinity. A period of intensive experimenting followed. During this time I collected the different phenomena and the book is now the result of a combination of personal experience and a interesting exchange with homeopathic therapists. This blog provides general information and discussions about health and related subjects. The information and other content provided in this blog, or in any linked materials, are not intended and should not be construed as medical advice, nor is the information a substitute for professional medical expertise or treatment. If you or any other person has a medical concern, you should consult with your health care provider or seek other professional medical treatment. Never disregard professional medical advice or delay in seeking it because of something that have read on this blog or in any linked materials. If you think you may have a medical emergency, call your doctor or emergency services immediately.